The BBC are reporting that the government plans to get one million more disabled people in work over the next 10 years have been set out by the government. Ministers say the new strategy will help those with disabilities keep their jobs and progress in their careers. The new measures include widening the number of people who can issue fitness-to-work notices and additional training for mental health professionals. Labour’s Debbie Abrahams said benefit cuts had already pushed more disabled people towards poverty. The pledge comes after ONS figures from June 2017 suggested that disabled people were twice as likely to be unemployed as non-disabled people. About 80% of non-disabled people are in work compared with just under 50% of disabled people. Prime Minister Theresa May said a person’s life and career “should not be dictated by their disability or health condition”. The 10-year plan builds on a green paper published last year which pledged to halve the so-called disability employment gap. The government hopes the changes to the fit note system will improve the identification of health conditions and treatments to help workers get back to work quickly. But some disability activists say the problem lies in employers’ attitudes. Mik Scarlet, an inclusion specialist, says he chose to be self-employed after some “disastrous attempts” at getting work. BBC disability correspondent Nikki Fox said it was not the first time the government had pledged to get more disabled people into work. However, she said “the employment gap between disabled and non-disabled people has not significantly changed for some years”. Labour’s shadow work and pensions secretary, Ms Abrahams, warned the government’s plans “hinted at” further cuts. “The Tories’ cuts to social security support are pushing more and more disabled people into poverty,” she said. Google is being taken to court, accused of collecting the personal data of millions of users, in the first mass legal action of its kind in the UK. It focuses on allegations that Google unlawfully harvested information from 5.4 million UK users by bypassing privacy settings on their iPhones. The group taking action – Google You Owe Us – is led by ex-Which director Richard Lloyd. He estimates the users could get as much as “several hundred pounds each”. The case centres on how Google used cookies – small pieces of computer text that are used to collect information from devices in order to deliver targeted ads. The complaint is that for several months in 2011 and 2012 Google placed ad-tracking cookies on the devices of Safari users which is set by default to block such cookies. Mr Lloyd said Google had told him that he must “come to California” if he wanted to pursue legal action against the firm. “It is disappointing that they are trying to hide behind procedural and jurisdictional issues rather than being held to account for their actions,” he said. Although there is no precedent for such a mass legal action in the UK, there is in the US. 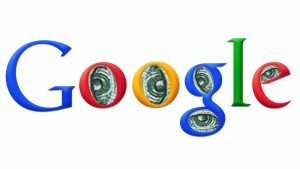 Google agreed to pay a record $22.5m (£16.8m) in a case brought by the US Federal Trade Commission (FTC) on the same issue in 2012. 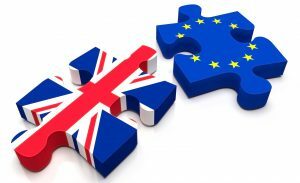 The firm also settled out of court with a small number of British consumers. As we move forward towards the winter, now is an excellent time to consider making home improvements in various aspects of your life, and some areas ready for a change may include such all-important areas of your home as the kitchen and bathroom. If you have plans to move home or remodel a bathroom in your home, it will be helpful to know what will be fashionable in 2018 and, PT Ranson bathrooms offer such delights the range of designer showers and bathrooms available from the likes of Vitra bathrooms and Hansgrohe Bathrooms. What about a preference for features that will be easy to clean? Do certain types of fixtures appeal to you more than others? Next, consider how your preferences will work with the layout of your current bathroom. To what extent might the existing layout have to change? Would you be willing and able to consider a more extensive renovation that involves new plumbing and electrical wiring? Will the dimensions of your existing bathroom or planned add-on leave enough space and allow for comfortable placement of fittings and ease of movement between the tub or shower, toilet and sink? 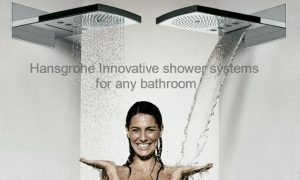 If you want a looking for a new shower that is truly effective that you know you can rely on check out the great range of Hansgrohe Bathrooms where they have a great range of efficient and stylish shower designs that will really give your bathroom a modern edge along with all the accessories required to make sure that you get the perfect finish, including wall outlets and concealed valves so you can get the job done exactly how you want it. P.T. Ranson has been supplying and installing components for luxury bathrooms across the UK for over 15 years. We work with architect’s specifications as needed and are prepared to guide homeowners through every step of the process, from initial consultation and planning to final installation. Let our experts outfit your home with the luxury bathroom of your dreams in 2015. For more information or to schedule an appointment, call us today on 0191 469 6999 or visit the P.T. Ranson designer bathrooms website today. The NHS is spending £20m to set up a security operations centre that will oversee the health service’s digital defences. It will employ “ethical hackers” to look for weaknesses in health computer networks, not just react to breaches. Such hackers use the same tactics seen in cyber-attacks to help organisations spot weak points. 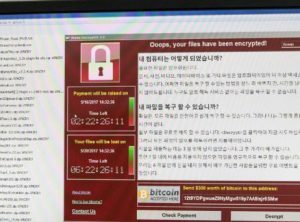 In May, one-third of UK health trusts were hit by the WannaCry worm, which demanded cash to unlock infected PCs. In a statement, Dan Taylor, head of the data security centre at NHS Digital, said the centre would create and run a “near-real-time monitoring and alerting service that covers the whole health and care system”. The centre would also help the NHS improve its “ability to anticipate future vulnerabilities while supporting health and care in remediating current known threats”, he said. And operations centre guidance would complement the existing teams the NHS used to defend itself against cyber-threats. NHS Digital, the IT arm of the health service, has issued an invitation to tender to find a partner to help run the project and advise it about the mix of expertise it required. Kevin Beaumont, a security vulnerability manager, welcomed the plan to set up the centre. “This is a really positive move,” he told the BBC. Many private sector organisations already have similar central teams that use threat intelligence and analysis to keep networks secure. 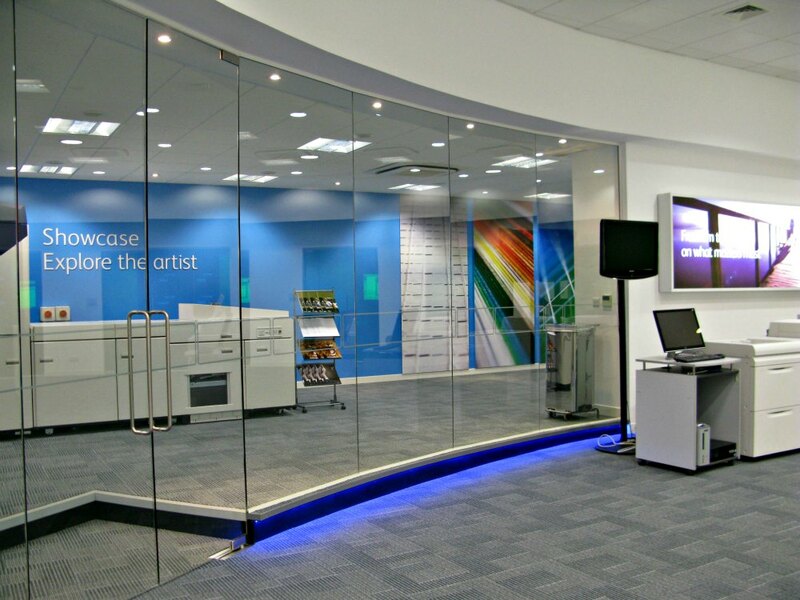 “Having a function like this is essential in modern-day organisations,” Mr Beaumont said. “In an event like WannaCry, the centre could help hospitals know where they are getting infected from in real time, which was a big issue at the time, organisations were unsure how they were being infected”. In October, the UK’s National Audit Office said NHS trusts had been caught out by the WannaCry worm because they had failed to follow recommended cyber-security policies. The NAO report said NHS trusts had not acted on critical alerts from NHS Digital or on warnings from 2014 that had urged users to patch or migrate away from vulnerable older software. 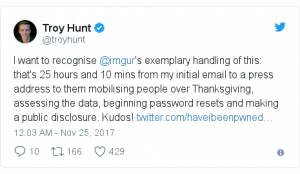 Image-sharing website Imgur has confirmed that the emails and passwords of 1.7 million users were compromised in 2014. The data breach has only recently come to light after being discovered by security researcher Troy Hunt. Mr Hunt said he was impressed with the company’s swift response. Imgur said in a statement that no other personal data had been taken as it did not collect information such as real names and phone numbers. “We apologise that this breach occurred and the inconvenience it has caused you,” wrote Roy Sehgal, Imgur’s chief operating officer, in a blog post. Mr Sehgal said Imgur was “still investigating” but its former encryption method – a hashing algorithm – may have been “cracked with brute force”. That algorithm had been replaced in 2016, he added. 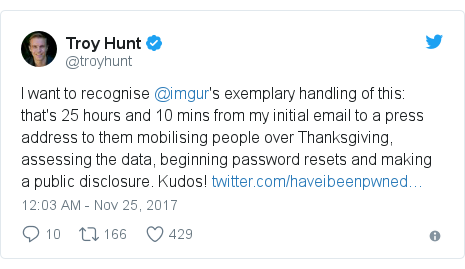 Troy Hunt tweeted that Imgur had released a statement 25 hours after he had contacted the company. “This is really where we’re at now: people recognise that data breaches are the new normal and they’re judging organisations not on the fact that they’ve had one but on how they’ve handled it when it’s happened,” he wrote. This month it was revealed that ride-hailing app Uber had concealed a 2016 data breach affecting 57 million users and drivers. It also admitted to paying the hackers $100,000 (£75,000) to delete the stolen data. “None of this should have happened,” said chief executive Dara Khosrowshahi. Many consumers still struggle to get out of unwanted subscriptions such as gym memberships and online streaming services, according to Citizens Advice. Analysis of almost 600 problems reported to the service found that in just three months consumers paid an average of £160 on unwanted services. Sometimes, consumers misunderstood terms and conditions, while some companies made cancellation difficult. The head of the consumer group, Gillian Guy, said firms must “act responsibly. Subscriptions are very easy to sign up to but can be difficult for consumers to get out of. We know people are wasting time and energy trying to cancel subscriptions while paying out of pocket,” she said. CA said one person who contacted the service said they tried to cancel a subscription after they were made redundant, and were asked for proof from their employer – including a P45. Most payments are thought to be through a Continuous Payment Authority, where companies can change the date or amount of a payment without giving advance notice. Frequently, consumers said they felt it was unclear they were being signed up to a recurring payment or that the contract may continue on an auto renewal basis. Under the Consumer Rights Act 2015, businesses can’t enforce terms on consumers that are unfair. Because of website hacking and personal data theft in recent years, most Internet users are aware that their sensitive information is at risk every time they surf the web. And yet, although the personal data of their visitors and customers is at risk, many businesses still aren’t making website security a priority. Enter Google. The folks over at Google are known for paving the way for Internet behaviour. Last month, they took a monumental step forward in helping protect people from getting their personal data hacked. The update they released to their popular Chrome browser now warns users if a website is not secure – right inside that user’s browser. While this change is meant to help protect users’ personal data, it’s also a big kick in the pants for businesses to get moving on making their websites more secure. On October 17, 2017, Google’s latest Chrome update (version 62) began flagging websites and webpages that contain a form but don’t have a basic security feature called SSL. SSL, which stands for “Secure Sockets Layer,” is the standard technology that ensures all the data that passes between a web server and a browser – passwords, credit card information, and other personal data – stays private and ensures protection against hackers. In Chrome, sites lacking SSL are now marked with the warning “Not Secure” in eye-catching red, right inside the URL bar! High Street pawnbroker Cash Converters has warned customers about a data breach on its website. The company said customer usernames, passwords and addresses had potentially been accessed by a third party. 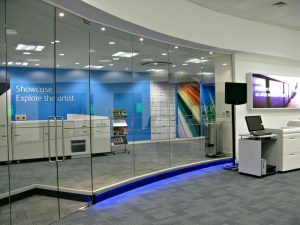 The data breach exposed accounts on the company’s old UK website, which was replaced in September 2017. The company told the BBC it was taking the breach “extremely seriously” and had reported it to the information commissioner. Cash Converters lets people trade in items such as jewellery and electronics for cash, and then sells the items on to others. It operates an online store that lets people buy items traded in at Cash Converters shops around the UK. The online store was relaunched in September 2017, and the data breach affected only people with an account on the old website.